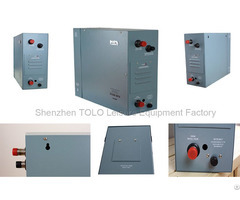 TOLO is manufacturer of Steam Bath Generator and Sauna Heater with strong technical force, all our engineers are with more than 15 years' experience and all products are CE certified. With excellent quality, performance, reasonable prices and stylish designs, our products are extensively used in residential/commercial sauna and other varies industries. Widely recognized and trusted by users and can meet continuously changing economic and social needs. 1.Customize design. If you have your own design, welcome to send us your sample or pattern, we can produce as you require! 2. Custom logo/label. Your own design logo and label are welcome. With over 15 years experience in sauna field (including sauna generator, sauna heater, infrared sauna system, sauna room(wood and acrylic), sauna accessories and so on), our engineers as well as sales team are always well prepared to offer you our best quality and most cost-effective prices to help you win your markets! * Above accessories are optional. • SS304 high-quality stainless steel water tank. • Housing of SS304 or carbon steel with galvanized and powder coating, corrosion-resistant, excellent color and gloss retention. 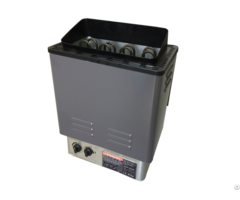 • Industrial process high-quality 304 stainless steel heating elements with Teflon, corrosion-resistant. • Easy Maintenance electrical probe for water level control. • Water inlet valve enhanced for 10 million operations. 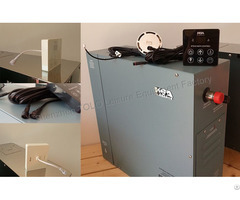 • Excellent insulated steam boiler improves energy efficiency and safe operation. • TOLO Auto Drain Timer Genera Sauna, Steam Machine, with good performance. Welcome to contact us for any further details needed! Business Description: TOLO is specilist in sauna generator, sauna heater, infrared system and sauna room fields with over 15 years experience. Have registered brand TOLO and STEAMTEC in Europe. Accept OEM and ODM.